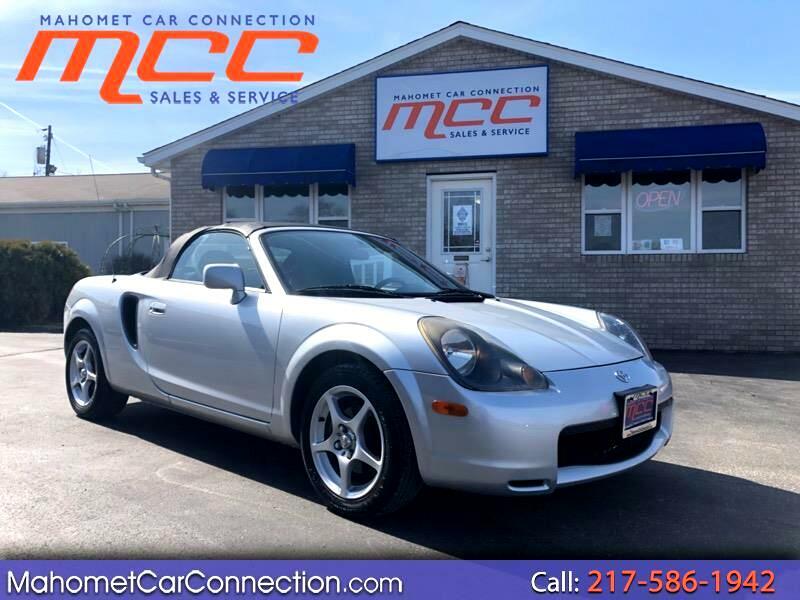 RARE 2002 Toyota MR2!!! ONLY 40k MILES!!! Nothing says summer like a 2 door convertible!! trunk in the front, 1.8L 4 cylinder engine in the rear. Equipped with a 5-speed manual transmission! Very fun and zippy Car! Definatly worth a test drive!! Message: Thought you might be interested in this 2002 Toyota MR2 Spyder.